Bring some magic to your party! Why not have a children's party with a difference? 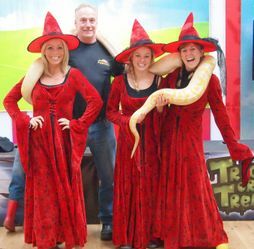 We have a wide selection of tame exotic pets to add some excitement to your party! We have several snakes (including an albino Burmese Python over twelve foot long, Woma Pythons, Royal Pythons and Corn snakes), lizards (Bearded Dragons, Panther and Yemen Chameleons, Blue Tongued Skinks), Leopard, Horsefeld's and Red-Footed Tortoises, insects (stick insects, hissing cockroaches and millipedes), and a range of tarantulas; we are adding to our list of 'exotic pet entertainers' all the time! 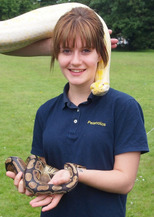 We will provide an educational talk and a chance to meet and greet our animals which are used to being in the spot-light! 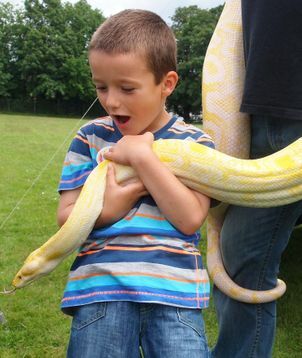 Unlike some parties which only allow the children to touch the animals, ours is a very 'hands-on' show and we like everyone to have the opportunity to hold all the animals if possible. We are available for birthday parties, fetes, open days and charity events, as well as husbandry and handling lectures and workshops for schools, colleges, after-school and holiday clubs, scouts and cubs as well as corporate events! 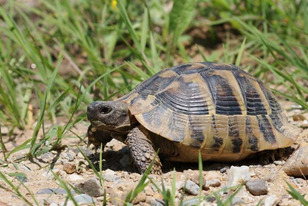 We are fully insured, licensed under the "Performing Animals Act" and police checked, and can provide all these documents as well as a risk assessment upon request.